Goldstar Cleaning proud to be "Cleaning for a Reason"
This article originally appeared in the June 7, 2013 issue of The Free Press. An estimated 91,400 Canadian women will be diagnosed with cancer this year, according to the Canadian Cancer Society. For many women, the battle against cancer is an all-consuming one, impacting every aspect of their lives. “A lot of your life gets put on hold. It becomes all about the cancer,” says Violet Minifie, 83, a Fernie resident who was diagnosed with ovarian and colon cancer in 2010. Minifie, who worked as a supervisor for the clerical department at a social services agency for more than 40 years, continues to lead an active lifestyle in spite of her diagnosis. She’s an avid reader and enjoys knitting and cooking. On Saturdays, she drives her 1985 Honda Civic down the street to pick up her 89-year-old neighbour. Together, the two will head out for a night on the town, attending Mass and having dinner at the local A&W. In other areas, Minifie’s family stepped in to help. Her grandson moved in with her to assist with daily chores, while Minifie’s three daughters took turns driving her back and forth to Calgary for cancer treatments. Last April, Minifie’s family turned to Cleaning for a Reason, a North American non-profit organization that partners with maid services to provide free cleaning for women affected by cancer. In response, Fernie-based Goldstar Cleaning Services sent their team of cleaning professionals to Minifie’s home four times over six weeks for a thorough spring cleaning. Goldstar has been a proud supporter of Cleaning for a Reason since 2011. Barclay says her company’s support for Cleaning for a Reason is about more than keeping homes tidy. “We want to encourage women to go on with their lives, in spite of the fear and uncertainty a diagnosis of cancer can bring,” she explains. Since it was founded in 2006, Texas-based Cleaning for a Reason has partnered with more than 1,000 maid services across Canada and the U.S. and helped more than 13,000 women affected by cancer. Talk show host Oprah Winfrey even featured the organization on a segment aired on WFAA Channel 8 in Dallas, TX, on February 13, 2009. Any woman 19 years of age or older who is undergoing treatment for cancer is welcome to apply for support through Cleaning for a Reason’s website. 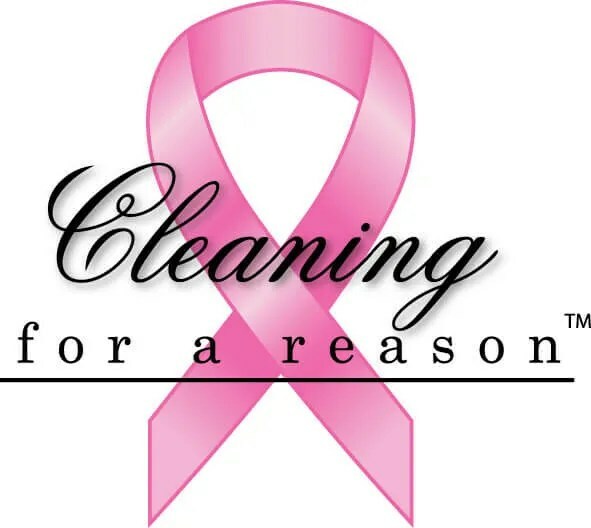 Goldstar is also committed to helping women affected by cancer outside the Cleaning for a Reason program. In November 2012, Goldstar awarded its Extreme Makeover: Clean Home Edition contest grand prize to George Torresani and Rochelle Simmons. The married couple had been living apart since last summer after their eldest daughter Brooke, 17, relocated to Vancouver to undergo treatment for lung cancer. When Rochelle and Brooke returned home for the holidays, Goldstar made sure their house was ready for them, sending a team of nine professional cleaners to give George and Rochelle’s home an extreme makeover.